Childhood Cancer in Ontario 1986–2015: A Surveillance Report from the Pediatric Oncology Group of Ontario describes the burden of cancer in children, aged 0 to 14 years, in Ontario, over a 30-year period, using data from POGONIS. 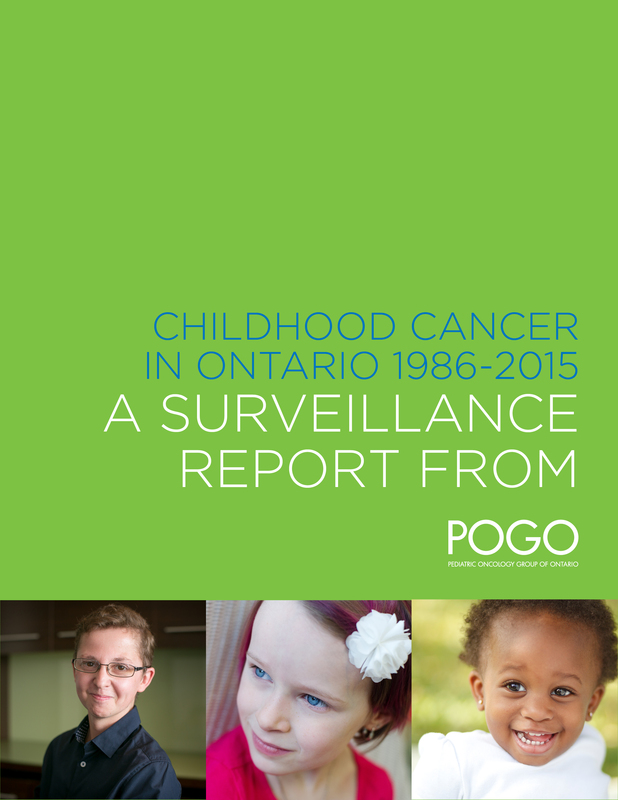 The report focuses on the incidence of childhood cancer in Ontario, mortality and survival in the population. 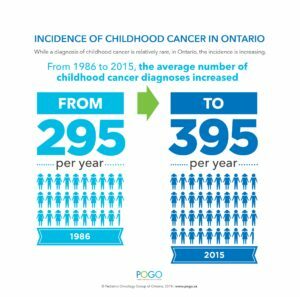 In addition, for the first time, the prevalence of childhood cancer is estimated for the Ontario population. The report supports service delivery planning, policy development and research, with the ultimate goal of improving the well-being of children with cancer, survivors of childhood cancer and their families. 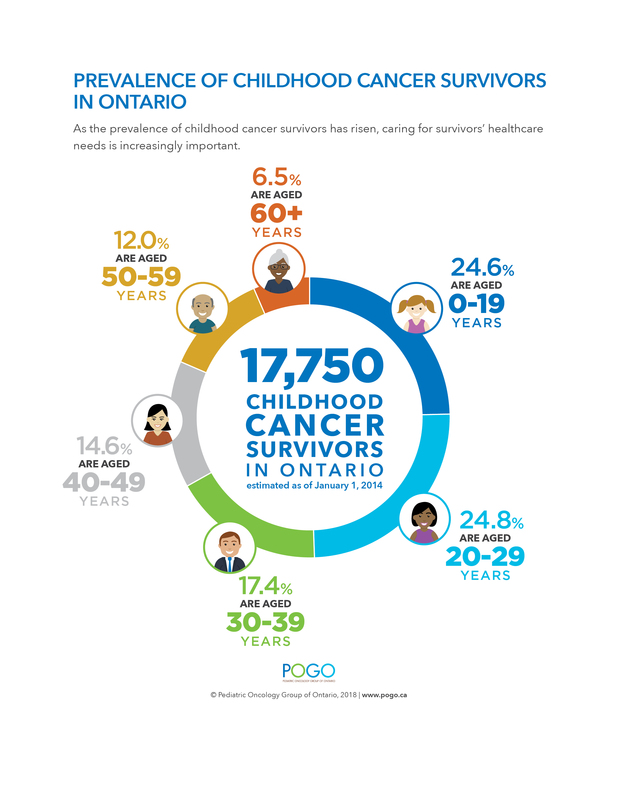 Childhood cancer is relatively rare – accounting for <1% of all new cancers in Ontario. The incidence of childhood cancer in Ontario is increasing by approximately 1% per year over the 30-year period. An average of 396 cases were diagnosed per year during the most recent 5-year period (2011–2015). Incidence rates fluctuate year over year, at times dramatically. Variations in the incidence of childhood cancer in Ontario have large impacts on service delivery and planning, given the high intensity of childhood cancer care. The most common types of new cases of childhood cancer were leukemias (50.2 per million), CNS tumours (37.8 per million) and lymphomas (18.7 per million). With research leading to new therapies and better outcomes, Ontario’s children are living longer. Ontario has experienced a 13% increase in 5-year overall survival, increasing from 72.4% in 1986 to 85.5% in 2015. 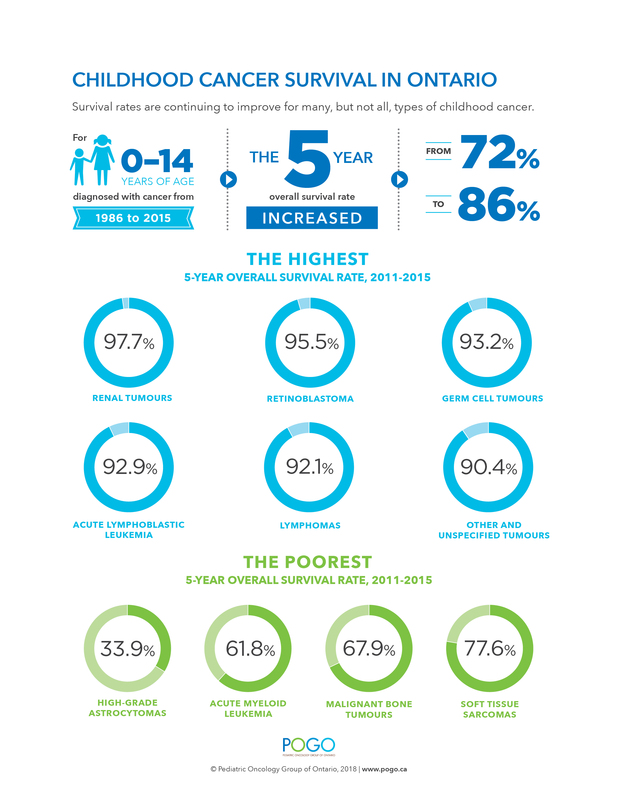 Survival rates are continuing to improve for many, but not all types of childhood cancer. Childhood cancer survival rates differ by age and cancer type. Mortality due to childhood cancer has remained stable over the past 25 years in Ontario and remains the most common cause of disease-related mortality among children in Canada over the age of one year. The prevalence of childhood cancer survivors has risen steadily, due to the increasing incidence of childhood cancer, combined with marked improvements in survival over the last few decades. This means that there are an additional 20% of childhood cancer survivors living in Ontario today compared to eight years ago – increasing from 14,400 in 2007 to 17,750 in 2014. Over time, an increasing proportion of childhood cancer survivors will be adults – accounting for 75% of the total prevalence in 2014. Caring for survivors of childhood cancer is increasingly important given the growing population and increased healthcare needs that are associated with late effects of treatment. The following PowerPoint slides are available for download, pre-populated with all of the figures and data tables from the report. Infographics related to incidence, survival and prevalence of childhood cancer are available. 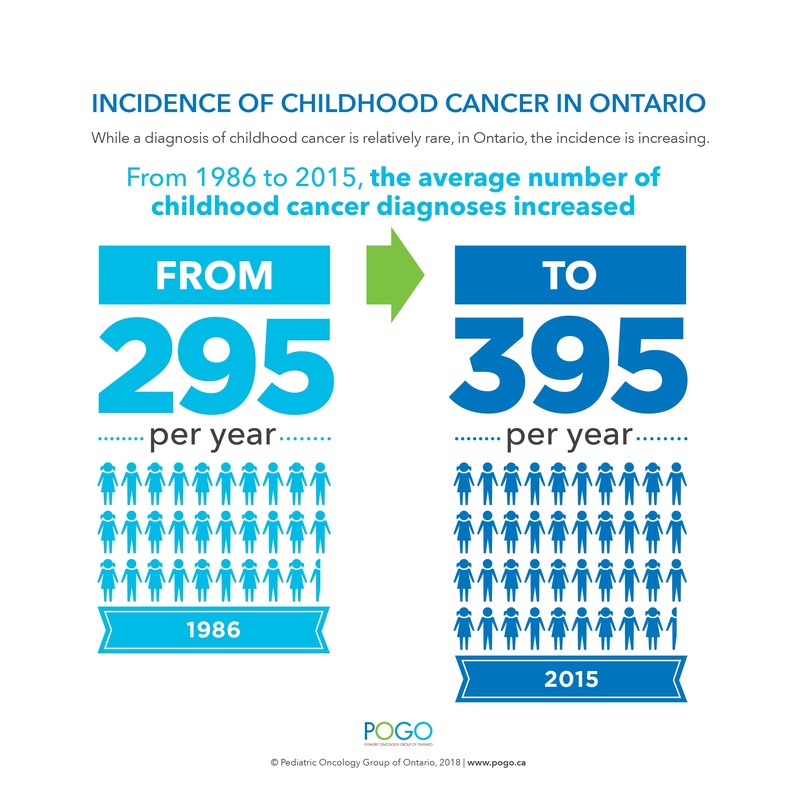 Request additional data or learn more about POGO’s childhood cancer registry, POGONIS.